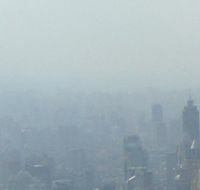 controlling-pollution: How does air pollution affect our heart and brain? How does air pollution affect our heart and brain? The air pollution does not only damage our lungs, it also damages our hearts and brain.At first many people believed that air pollution primarily affects our lungs but now the scientists discovered that air pollution is quite as damaging for our heart and brain. Air pollution has very negative toxic effect on human heart and people who already suffer from cardiovascular disease are particularly vulnerable to an increased level of pollutants in the air. The scientists have proved that air pollution can seriously injure the heart and blood vessels which can in some cases even lead to death. It all starts once air pollutants are inhaled in our body. Once getting in our body these pollutants damage cells, cause inflammation in the lungs, and create a variety of harmful effects in the heart and cardiovascular system. Some air pollutants (ultrafine air pollutants) are even capable to directly enter into the blood stream and directly damage the heart by developing arrhythmias or by disrupting the heart's pumping function. High exposure to air pollution was linked in many cases to emergency hospital admissions for heart attack, chest pain and congestive heart failure, and in some cases even to death from heart disease, arrhythmias, heart failure and cardiac arrest. Air pollution also has negative effect on our brain. According to the recent study, the long term exposure to high levels of air pollution can lead to physical changes in the brain, memory and learning problems, and can even lead to depression. Our brain is vulnerable to air pollution because the hippocampus is extremely sensitive to damage caused by inflammation. Many people around the globe are still not aware of the fact that air pollution is not only serious environmental but also a serious health issue that deserves lot more attention than it currently receives. Millions of people around the globe live and work in polluted urban areas not realizing that there are plenty of reasons for them to be concerned not only from environmental but even more importantly from the health point of view. Air pollution is one of those silent killers which take many people's lives by hiding its true identity behind many lung, heart and brain diseases.